To enhance the health of Canadians by fostering excellence in chiropractic care. 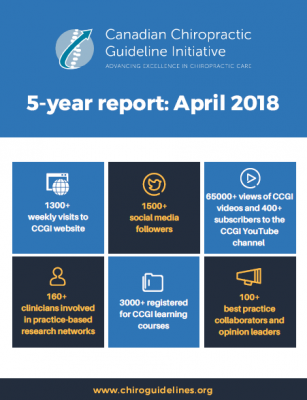 To develop evidence-based clinical practice guidelines and best practice recommendations, and facilitate their dissemination and implementation within the chiropractic profession. 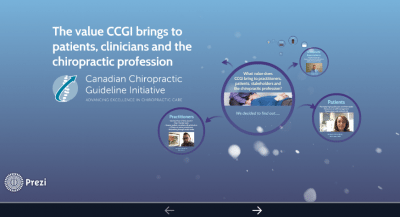 Download this infographic to find out more about the value CCGI brings to patients, clinicians, researchers, students, regulators, associations and the chiropractic profession as a whole. 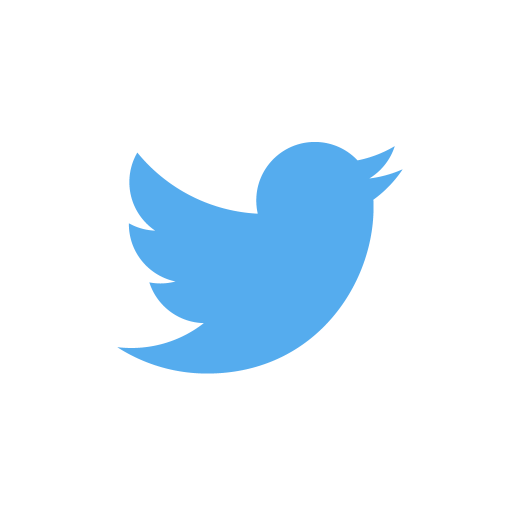 What is the evidence-informed practice statement? 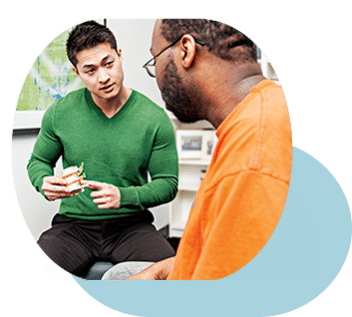 ‘Canadian chiropractors adopt evidence-informed practice principles to guide clinical decision-making by integrating their clinical expertise, patient preference and values and the best available scientific evidence’. 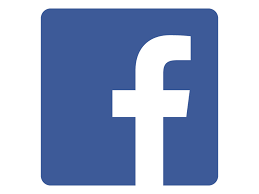 The statement has been adopted by 9 Canadian chiropractic provincial associations and regulatory boards (May 2018). What are guidelines for? Clinical Practice guidelines are documents aimed to guide decisions and criteria regarding diagnosis, management, and treatment in specific areas of healthcare. 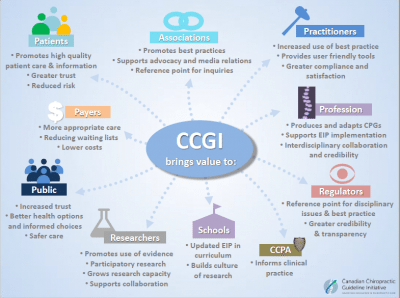 What is the scope of CCGI? The scope of the CCGI is limited to conditions including adult spinal and extremity disorders, headache, pediatric conditions (scoliosis), and pre-specified objectives (e.g., assessment and/or treatment of low back pain). Studies on musculoskeletal disorders that resulted from destructive and progressive pathologies affecting the spine are excluded. However, diagnostic and assessment studies related to ruling out fractures and dislocations and other pathologies are included in the scope of the CCGI. CCGI is funded by provincial associations and regulatory boards, and national associations including the Canadian Chiropractic Association and Canadian Chiropractic Protective Association.